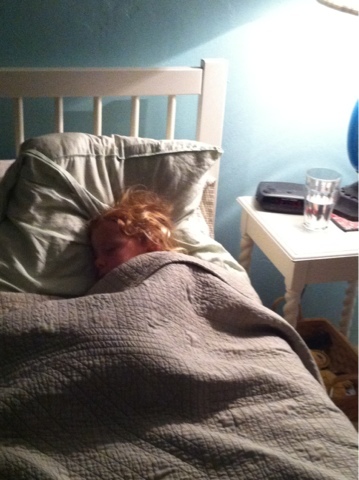 Some nights, when naps were late in the day, one little girl finds it hard to settle in to her bed no matter how many times the covers have been " flatted", or trips down the hall, or kisses blown for good night, or even after remembering she did not brush her teeth which led to giggling and silliness. There is one place that brings on sleepy eyes and snores. My side of the bed.